The recent spate of hurricanes in North Carolina may have left you thinking about your homeowner’s insurance policy. What, really, does it cover? And do you even have the right protection in the event of a natural disaster or major weather event? Whether you live in the house or use it as a rental property, you should protect your investment. Homeowner’s insurance is something every new homeowner must have when they go to the closing table. Mortgage companies require it as protection for their investment, and it protects you, the homeowner, against costly repairs. But many people defer to their insurance agent when purchasing insurance when they really should know a bit more about the nuts and bolts of their policy. 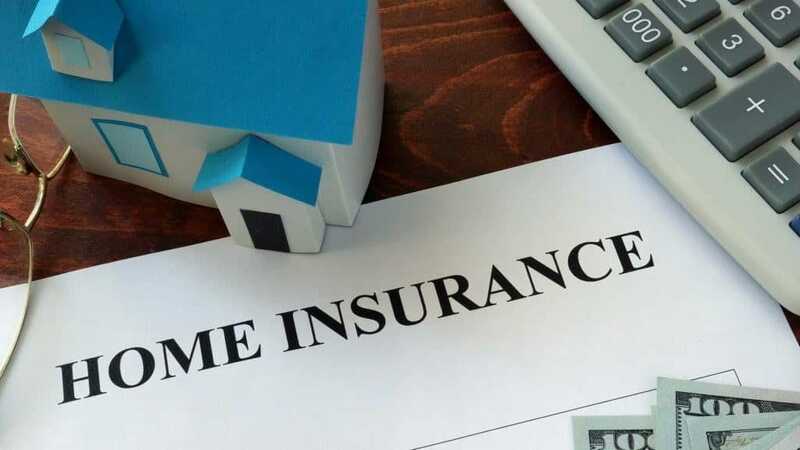 What’s the Purpose of Homeowner’s Insurance? Nobody wants to imagine their home catching fire or being destroyed by a tornado, but, tragically, it does happen. Imagine having no insurance, no liveable home, and yet still being responsible for making your mortgage payments to the bank? Homeowner’s insurance pays to repair or replace your home and its contents if disaster strikes and your property is damaged or destroyed. Not only that, if someone falls down your stairs and breaks their leg while they’re visiting or a tree falls on their car while it’s parked in your driveway, your insurance covers any associated costs as well. What Basic Coverage Is Included in a Homeowner’s Policy? Most policies cover fire, wind, smoke, hail, lightning, explosions, and damage due to civil unrest. So if an angry mob throws rocks and one of them hits and breaks your window, the replacement cost would be covered. They also typically cover theft, tree damage (when a tree falls on your home), damage caused by snow, ice, or sleet, and water damage caused by the failure of a plumbing, heating, or air conditioning system. What’s equally important about your policy is what is not covered. Water in your home due to outside flooding, or a sewer backup into your home isn’t covered. Neither are acts of war, earthquakes, landslides, or other unusual but perhaps possible disasters. A tree falling in your yard that may block your driveway but doesn’t hit your home? Not covered. Do you live in an area at high risk for a particular natural disaster? If you’re new to the Raleigh area, you might not know there are areas prone to flooding during heavy rain events. You may want, or even be required to buy, a separate policy, at an additional cost, that will pay for damages related to an unlikely, but possible, natural disaster. Are There Limits to Your Coverage? Your policy coverage isn’t endless. Your agent will help determine how much your house is worth and suggest a coverage amount that’s enough to pay for rebuilding your home if it’s damaged. Other coverage in your policy, such as loss of use and personal property are covered at a percentage of the dwelling coverage. Your coverage should equal your home’s market value, right? Well, no. There are two types options when buying a policy. Actual Cash Value policies reimburse you for the current value of your possessions, taking depreciation into account. That means if you’re ten years into a twenty-year roof, you’ll probably end up paying half the cost if it’s damaged and needs to be repaired. ACV policies usually cost less, but they may not offer as much coverage. A Replacement Cost Value policy insures your home and possessions based on the current market value. There is no deduction in coverage because of the age of the home. Insurers look at what it would cost to rebuild your house. You’ll want to make sure your insurer knows the accurate square footage of your home and isn’t going just by the square footage listed on government records since these numbers don’t always agree. If you’re uncertain about the value your insurer is giving you, you can try looking at an online calculator such as building-cost.net for additional guidance. And you also want to make sure the replacement cost isn’t based on the tax value, since that often includes the land your home is on and it’s not necessary to pay for coverage on that. Choosing a higher deductible. The deductible is the amount you’ll be required to pay out of pocket before your insurance company covers the rest. You can lower your policy cost by increasing your deductible. Just make sure you’ll have the cash in savings in the unfortunate event you need it. Having a good credit history. Bundling your auto and homeowners insurance. Signing up for automatic electronic payments. If you’re buying property as an investment, it’s important to note that your insurance needs will be a little bit different. Your policy will cover replacement of your property and loss of income. It won’t cover replacement of the contents inside, though. Your tenants will want to secure a rental policy for themselves if they want to cover their own belongings. Ask about a landlord policy when talking to your insurance professional about coverage. Regardless of what stage you are in purchasing a home, give us a call if you need help. Oak City Properties represents homebuyers throughout the entire home buying process. We can offer guidance on homeowner’s policies, and advise you on a multitude of other factors about buying a home that you probably never thought of. It’s our pleasure to help you make the best decision possible for you and your family.